This is an annual event, normally staged over the summer. 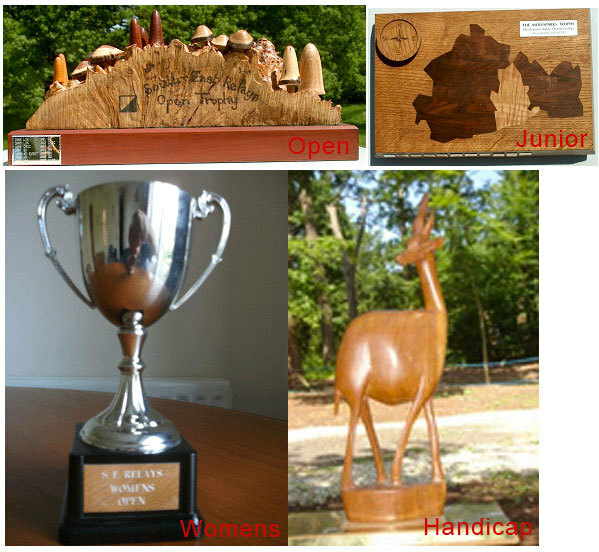 Only SEOA-registered clubs are eligible for trophies although (non-competitive) entries from non-SEOA clubs are encouraged. Each member of a club team must have that club as their first claim club AND be an SEOA member (eg some SN members belong to SCOA). Typically two short blue courses would be planned along with one of green, yellow and orange. The short blue courses should be planned with a winning time of 30-35 minutes. If a large junior entry is anticipated then two yellow courses could be planned. Each team in a given class would have to run the same courses. The above timings are for guidance, although it is not recommended that the junior class are set off first. 1984 LOK HH . .
1985 LOK CHIG . .
1986 CROC HH / MV . .
1987 GO MV . .
1988 None None . .
1989 HH MV . .
1990 MV MV . .
1991 GO MV . .
1992 CROC HH MV . 1993 GO SLOW MV . 1994 MV MV MV . 1995 SN MV MV . 1996 GO SLOW . .
1997 ULOC SLOW SLOW . 1998 LOK SLOW SO . 1999 SLOW MV SO . 2000 SN MV SO . 2001 SN MV SO . 2002 SN SLOW GO . 2003 SN MV SLOW . 2004 SN SO SLOW . 2005 SLOW SLOW SO . 2006 SN GO . .